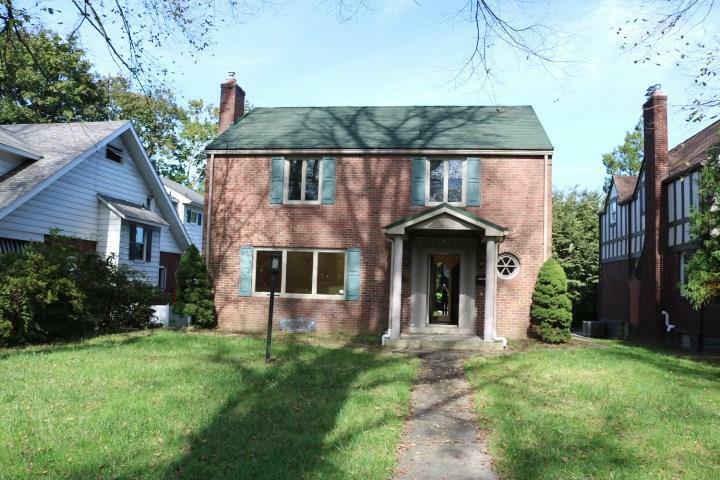 2 story brick colonial style home located on a tree-lined street with large rear deck and 1 car integral garage. 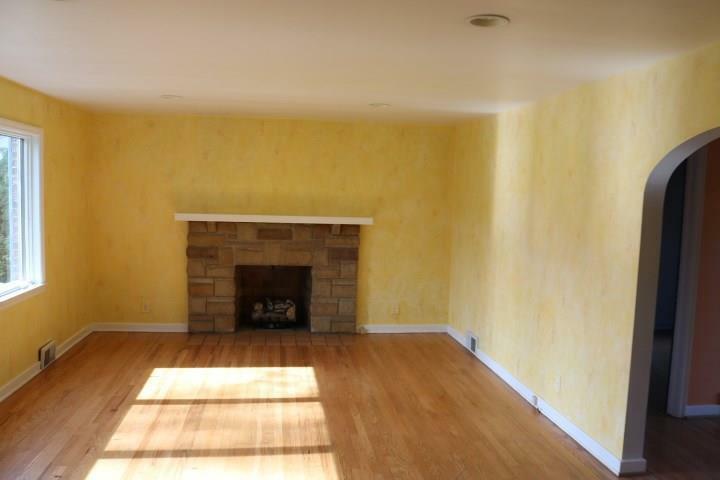 Living room features stone fireplace and hardwood flooring. Dining room has French doors that lead to the rear deck. 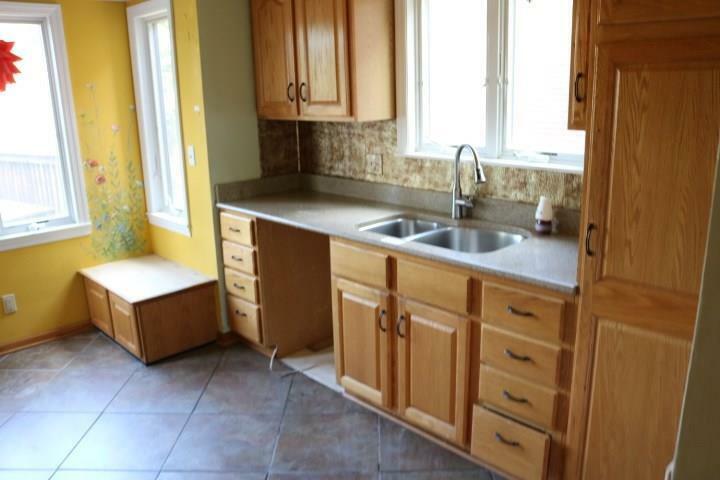 Kitchen with oak cabinets, quartz countertops, and breakfast nook with bench seating. 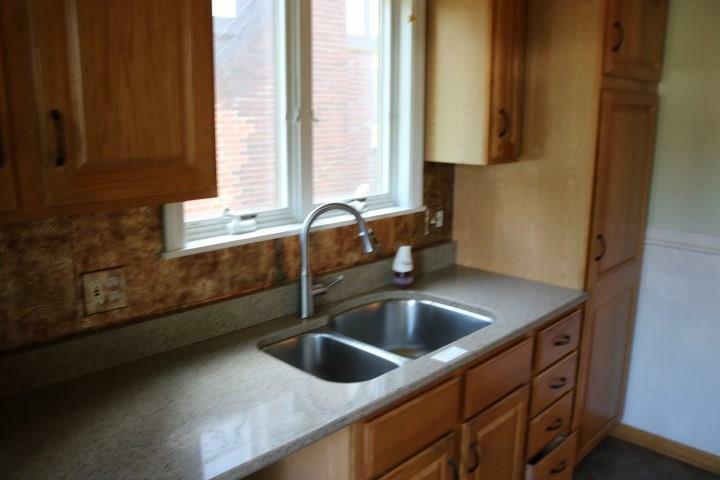 Master bath has double bowl vessel sinks and slate flooring.